- Polo was born and raised in the city of Venice. - He explored from 1271 C.E.- 1295 C.E. - He traveled to China with his father and uncle. - Polo comes from a family of explorers and traders. - He was an Italian merchant and he made money off of what he was doing. - Marco's dad, Nicolo, seemed to always be away traveling on business. 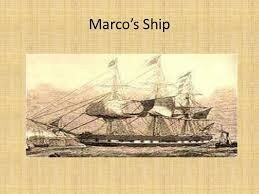 - Most say that Marco Polo chose to explore for the gold. He traveled on the silk road trading goods and got a lot of money for it and his family. Though I argue that he did it for the experience over all. 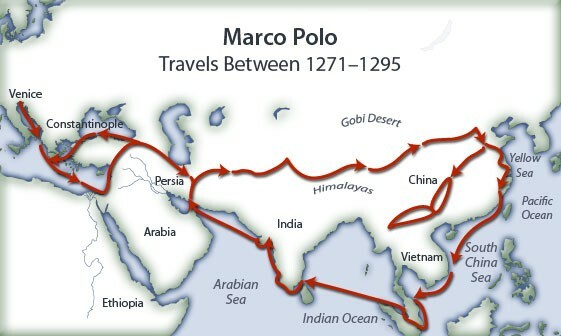 - Marco Polo resulted in amazing adventures that he recorded on paper while being on his journey. - When he returned home he brought back his stories and shared them with his family and people of the city, and the great discoveries & people he seen along the way gave the people of Venice the mindset to go and have the experience as Polo did. - Asia population grew tremendously.